“This is not the case for some materials, such as materials with very high ionic conductivity and those where the building blocks are not only atoms but also molecules. 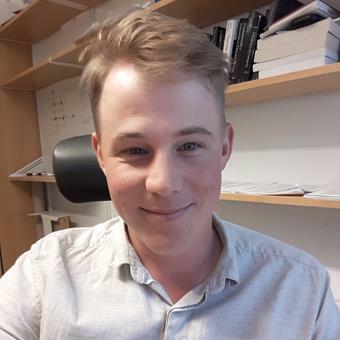 Several of the perovskites that are promising materials for solar cells are of this kind”, Johan Klarbring, doctoral student in theoretical physics at Linköping University, tells us. Materials that show this atypical behaviour are known as “dynamically disordered solid materials”. Dynamically disordered solid materials show immense potential in environmentally sensitive applications. Materials that are good ionic conductors are, for example, promising in the development of solid electrolytes for batteries and fuel cells, and for thermoelectric applications. “The article in Physical Review Letters describes how we have been able for the first time to theoretically describe the phase transition in bismuth oxide, and calculate the temperature at which it occurs. This provides an important theoretical basis for the development of, for example, electrolytes in fuel cells, where it is important to know exactly when the phase transition takes place”, says Johan Klarbring. “Once we have a deep theoretical understanding of the materials, it improves the possibilities to optimise them for specific applications”, concludes Johan Klarbring. Swedish researchers have discovered a new and efficient way to use electrocatalysis to produce hydrogen gas from water. Instead of using expensive platinum electrodes, the new method uses electrodes with nanotruss structures of iron oxide. Materials scientists Vaya Darakchieva and Johanna Rosén have each been awarded over SEK 30 million from the Swedish Foundation for Strategic Research. They aim to develop new materials for more efficient energy systems.